Muckrach’s Coffee Shop and Restaurant offers menus filled with freshly prepared brasserie-style meals from Breakfast through to Dinner, 7 days a week. Your meals will be prepared by Head Chef Rayner and Sous Chef Johan, both with years of experience of creating great food using the best local ingredients and presented with panache. Menus created by Rayner for the Coffee Shop & Restaurant reflect the time of day; Breakfast choices include a full Scottish Breakfast with Grants of Speyside black pudding, The Hollies treacle cured bacon, The Hollies special sausage, fresh eggs, mushroom, tomato and a tattie scone. 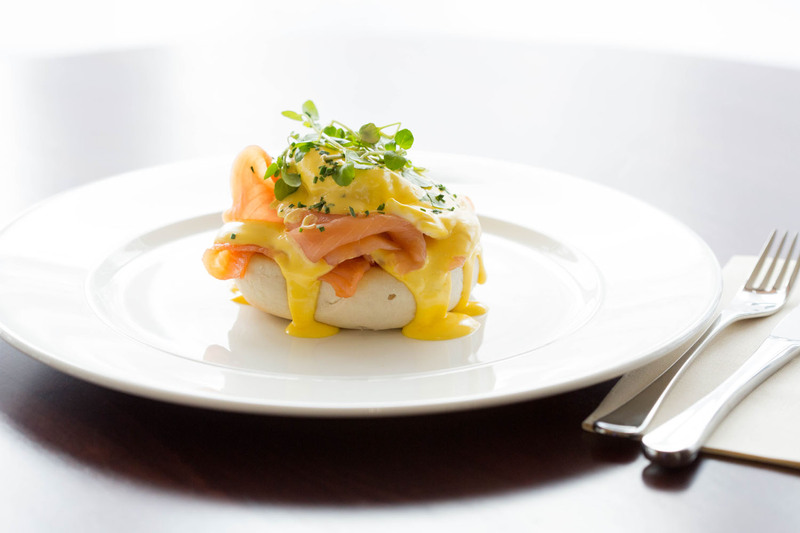 Eggs Benedict with a twist enjoys fresh Inverawe salmon instead of ham with a light homemade hollandaise sauce on a toasted muffin. Of course a Scottish breakfast menu would not be complete without a Scottish Porridge, served with a nip of whisky, mixed berry compote and double cream. The Coffee Shop menu for lunch is brimming with delicious lighter choices of sandwiches, homemade soup, baked potatoes and locally baked cakes. Afternoon tea is available by reservation between 2pm and 4pm each day. The Restaurant menu reflects the skills of the kitchen team in transforming fabulous local ingredients into mouth-watering dishes, such as Rayner’s signature starter dish of Haggis Bon Bons, using Grant’s of Speyside haggis and served with a cauliflower puree & pancetta. 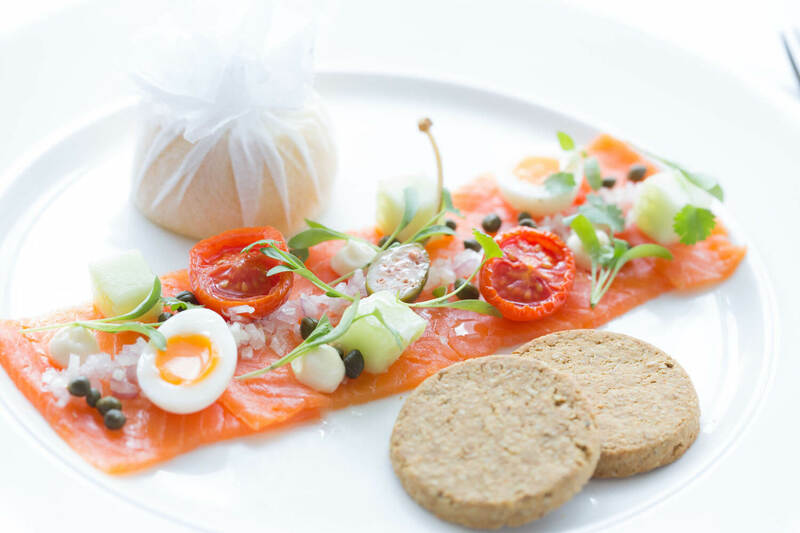 The Inverawe smoked trout is delicate & fresh served with quail’s egg, cucumber, shallot, caper berries & horseradish cream. For you main course in the Restaurant, why not try the Muckrach style fish pie or the Muckrach burger? Both created by our team of Chefs and brimming with flavour. Local ingredients & products are supplied by producers such as Cairngorm Brewery, Inverawe Fisheries, Fife Creamery, Grant’s of Speyside, Tanny Gill Cheeses, Really Garlicky, Black Isle Dairy Ice Cream, Macleans Highland Bakery, Williamsons Fruit & Vegetables, Clare Tulloch Cakes & Sweet Treats by Melissa. 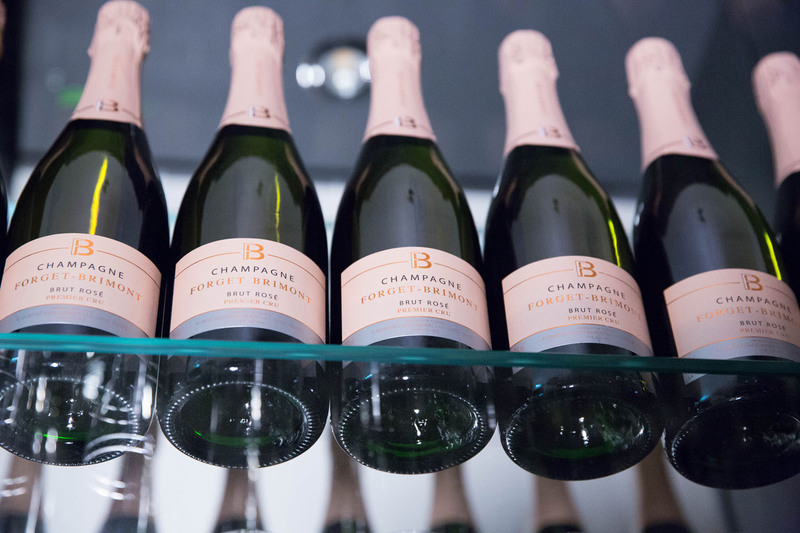 Wine, beer & champagne choices to compliment the brasserie-style menu can be found in the Bar. Enjoy pre dinner and post dinner drinks in the Bar, the Drawing Room, The Library or on the Terrace. We have more than 70 whiskies including locally distilled Speyside malts, 30 gins 12 of which are distilled in Scotland and a range of local ales from the Cairngorm Brewery. Private dining is available for parties of up to 28. The Grant Room is an additional dining room that is ideal for family parties, business meetings or team events. Please contact 01479 851227 for more details.